Muhammad Ali was not just a champion in the ring - he was a champion of civil rights, and a role model for so many people. "Muhammad Ali was The Greatest. Period. If you just asked him, he'd tell you. He'd tell you he was the double greatest; that he'd "handcuffed lightning, thrown thunder into jail." Like everyone else on the planet, Michelle and I mourn his passing. But we're also grateful to God for how fortunate we are to have known him, if just for a while; for how fortunate we all are that The Greatest chose to grace our time." Laura and I are saddened by the death of Muhammad Ali, The Greatest of All Time. I gave Ali the Presidential Medal of Freedom in 2005 and wondered aloud how he stayed so pretty throughout so many fights. "It probably had to do with his beautiful soul. He was a fierce fighter and he's a man of peace, just like Odessa and Cassius Clay, Sr., believed their son could be. 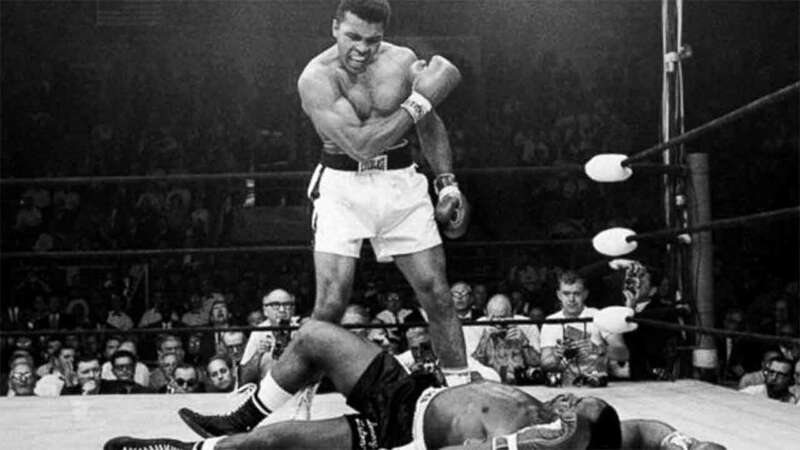 Muhammad Ali was an iconic and historic figure who thrilled, entertained, influenced, and inspired millions. Americans will always be proud to have been in his corner and called him one of our own." "Muhammad Ali was the greatest, not only an extraordinary athlete but a man of great courage and humanity." "Muhammad Ali, a man who stood by his principles despite criticism and hardship, exemplified a true patriot and a true Muslim. His strength, courage and love of humanity has been, and will continue to be, an inspiration to people of all faiths and backgrounds in America and worldwide." "I first met Muhammad Ali in the late 1990s when he had been dealing with Parkinson's for many years. I have watched him face the disease with grace and humor, and he has inspired countless patients to do the same. We have lost a great warrior in the battle of Parkinson's, but hope continues for a better tomorrow. We will continue with the Center's mission to improve the quality of life for those affected by Parkinson's."